"How To Improve Your Life, Health, Relationships And Finances." A Guide That Reveals Effective Methods To Help Anyone Become Healthier, Happier And Wealthier! What would it be like to use your energy to create a healthy, prosperous, and unshakeable life for yourself that nothing outside you could touch? How would you feel having all the tools you need to create happiness, make money, and have a feeling of total self worth no matter what's going on around you? What would you do if you knew... without a shadow of a doubt... you could be a success in anything you do? Let me explain what Conscious Energy Meditation means to you, to the massive success, health and mental well being you can achieve, and what it can mean for your family. By using the techniques and methods inside Conscious Energy Meditation, you can create a life so powerful that others will look at you in wonder. They will be amazed at what you are able to accomplish, and in such a short period of time. And not just you, but everyone in your family that you share these methods with, will benefit just the same. The only thing that is required is your time, and the dedication to do the meditations. I believe we've been caught up and bombarded with so much negative energy and negative information that we've forgotten how to take care of ourselves. We've let ourselves get overwhelmed, and that ends up being a costly mistake physically, emotionally, mentally and financially. By not utilizing these simple and easy methods, we've lost some of our hope and self protection! I've discovered how to use this method of meditation to not only increase our bodies energy, but also how to combine it with other methods to enhance and enrich our lives in a massive way. These ideas will provide you with a fresh and lively approach to regaining your energy, increasing your vitality and mental focus, and improving your health and prosperity... one that goes far beyond ANY existing method! These are the exact methods I've tried, tested, and use today with great success for myself and my healing clients. I stand by everything I teach you because I know it works! So... if you want to rediscover yourself and your lost energy that has been the main cause of most of your strife and frustration this lifetime, if you want to rediscover your total health and happiness, if you want to rediscover how easy it is to be prosperous, then pick up this guidebook. How you can "heal" any part of your body in a positive and dynamic way by changing your perception of it quickly and easily. Learn the secret to becoming MORE than just another "zombie" floating above your body, and getting grounded inside yourself. Discover how to tell yourself powerful affirmations that makes your thoughts become exponentially more persuasive and compelling. Read about the one thing you can do immediately that will begin to alleviate stress and tension from your body the moment you start doing it. Find out what's the simplest thing you can practice doing right now that will begin to align the "universe" in YOUR favor and support you in anything you do. I'm Throwing In 3 Free Bonuses! Bonus #1: "Conscious Energy Meditation Guided Audio" mp3 - Listen as I guide you through performing the Conscious Energy Meditation. I'll show you, step by step, how to do each process of the meditation, from grounding & releasing, to centering & moving your energy. This main meditation is the foundation for the rest of the meditations that are in the manual. A $75 value. Bonus #2: "Special Delivery Guided Meditation" - You'll be amazed at how deeply relaxed and yet totally aware you'll become when you use this guided meditation. Through this process, you are shown how to give to yourself! This meditation can be used over and over again to give to yourself exactly what you want! A $90 value. Bonus #3: "Theta Metronome" - Use this special audio track to help you move into a smooth Theta brainwave pattern, while doing the Conscious Energy Meditation. In the Theta brainwave state, you can access your sub-conscious mind and begin to let go of the old programs and patterns that have been blocking you from achieving the results you want! You'll discover how to feel better and become more relaxed than you ever have before. A $75 value. You get all this, valued at over $350, for only $38.95! I really really really enjoyed this Ross! I love how you go through all the steps in an easy to understand, yet informative way, and the awareness! I think I enjoyed that part the best. Helene G. - Los Angeles, CA. Ross's book is so timely, coming as it does amidst so much change that is challenging each one of us to find ways to fully embody who we are becoming. The practical exercises are amazing, so creative and effective. Some of them surprised me, by showing areas where I was ungrounded and didn't realise. There are loads of great ideas for spiritual health and wellbeing. I love this book, and highly recommend it. Ross, thank you so much for your book. I gotta say I'm loving it so far. I haven't finished it yet, but I wanted to tell you that what I've read so far is more than deep, it's also very accessible! I was telling my Mom about your book and she said she can't wait to read it! Greg & Mer - Sun Valley, CA. Wow! I am only on Chapter 3 but you have turned my world around. I couldn't wait to tell you how amazing this book is. My whole body is tingling with new and excited energy. You are a wonderful and amazing human being and I am so grateful and blessed to be given this opportunity to read your book. Thank you! I use the very same techniques in my own life every day. You can expand your mind to new levels and go where most people hardly ever go to succeed. (Is there any wonder why there's so few truly happy people?) You can do it by picking up your copy of this guidebook now and adding it to your library. Yes Ross! Give me my copy of "Conscious Energy Meditation" guidebook immediately! To Get Your Copy of "Conscious Energy Meditation" NOW, Click This Button! Ordering is fast, easy, and 100% secure through Paypal. You will have immediate access to everything once you place your order. To read your new book, you'll need Adobe Reader. P.S. These energy techniques work. I've tested each one of these strategies in my own life. They've given me money, happiness, a feeling of self worth, and a sense of contributing to all of mankind. I've seen my clients use these processes and I've seen them prosper in every aspect of their lives. Use these techniques and you will create a legendary, electrifying, prosperous and unshakeable life. If you truly want to expand yourself, take your success to new heights, and reach a new level of fulfillment and purpose in your life, then this is the guidebook to get! And best of all, the bonuses are all yours FREE! All you pay is $38.95, and I'll send you your copy right away. 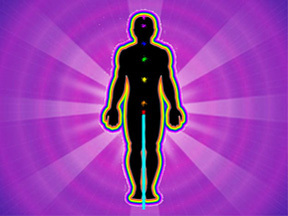 Discover The Secrets Of "Conscious Energy Meditation" NOW!